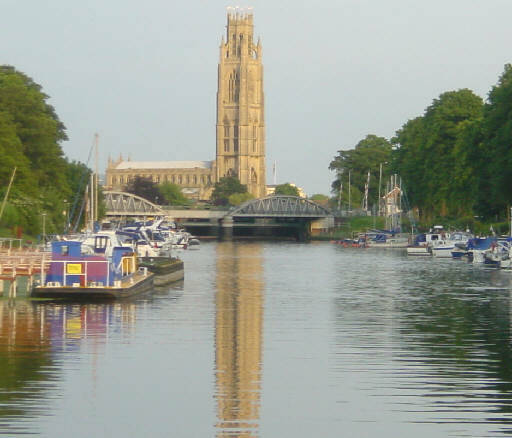 Boston is a small port town set on the edge of the Wash where Norfolk meets Lincolnshire. 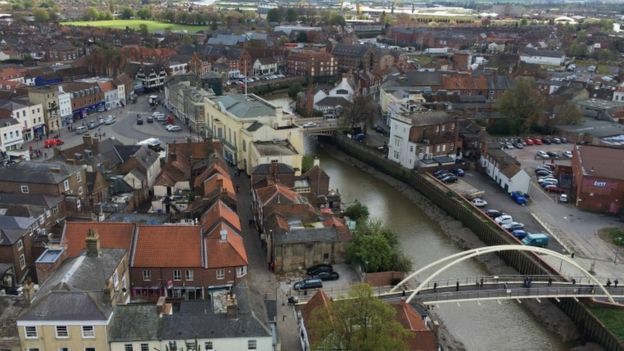 The town is steeped in fascinating history, and was once one of England’s “Staple Towns” authorised to carry on the import and export trade, as well as being a place of religious dissent in the 16th century. This religious turmoil is marked by the Scotia Creek Pilgrim’s Father Memorial – a tribute to a group of Puritans, who were later to be known as the Pilgrim Fathers, who attempted to flee to Holland were arrested and handed over to the authorities. After being tried and held at Boston Guildhall they eventually left and ultimately escaped to Holland and then to the New World. Boston’s most notable landmark is St Botolph’s Church (“The Stump”), which is said to be the largest parish church in England,with one of the taller towers in England visible for miles around from the flat lands of Lincolnshire. Also impressive in its history is the Guildhall and Tourist Information Centre, built in the 1390’s for the Guild of St. Mary, making it a survivor the Medieval period. Handed over to the borough by Henry VIII in 1545, the building has been used for meetings, as a courtroom, a gaol, British restaurant and many other purposes. The building is now used a museums and includes, amongst many tales, the stories of the Pilgrim Fathers being tried and imprisoned there in 1607. With permanent and temporary exhibitions, interactive touch screens, sounds and smells and children’s activities, the Guildhall has something of interest for all. 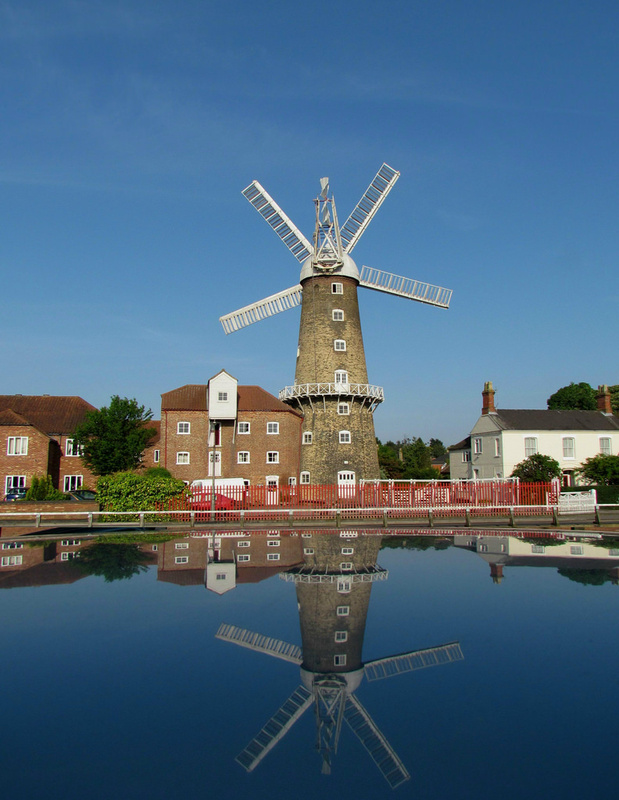 Along the waterfront you can find the Maud Foster windmill, which was built in 1819 by Isaac and Thomas Reckitt.It is one of the tallest working mills in the British Isles and is open to the public so that visitors can see the whole milling process taking place. 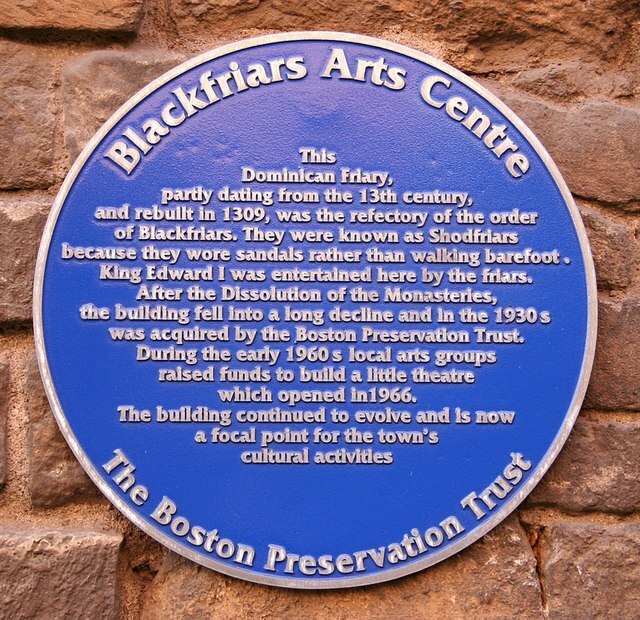 Boston also has the Blackfriars Theatre and Arts Centre, which was originally built in the 13th century as a Dominican Friary but now celebrates its 50th year as a theatre after and its remains were converted in 1966. It now features a varied programme of music, dance, comedy, children’s entertainment and theatre. Other interesting architecture to look out for is Hussey Tower, built by Richard Benyngton around 1450 for Sir John Hussey, a member of the court of Henry VIII. Only the tower and grounds remain which are open to visitors from dawn until dusk. Fydell House Centre is a fine example of 17th century domestic architecture of town houses, built in 1720 by Samuel Jackson and bought and altered in 1726 by Joseph Fydell, a local merchant and importer of cloth. If you visit http://www.boston.gov.uk/index.aspx?articleid=4150 you can download ‘The Boston Experience’ – a pack which gives you all the information you need to conduct your own guided heritage trail about the town. 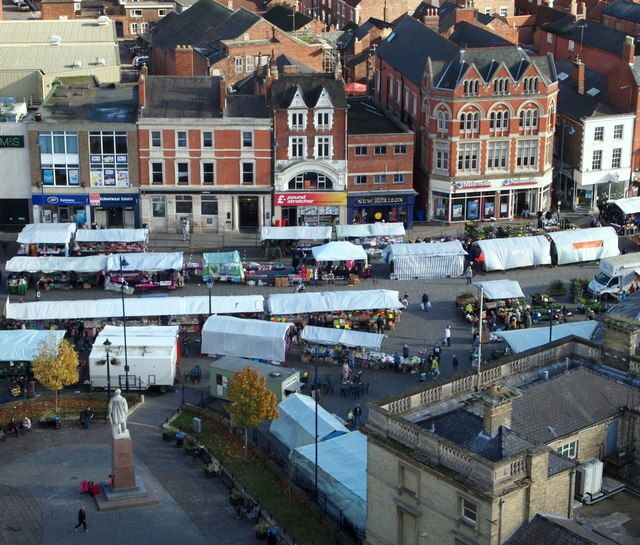 As a classic market town, Boston has many regular and varied markets in the Market Place from A Vintage A-Fayre coming up on September 25th, to the fortnightly Thursday Boston Craft Market and the Boston Market which takes place every Wednesday and Saturday. 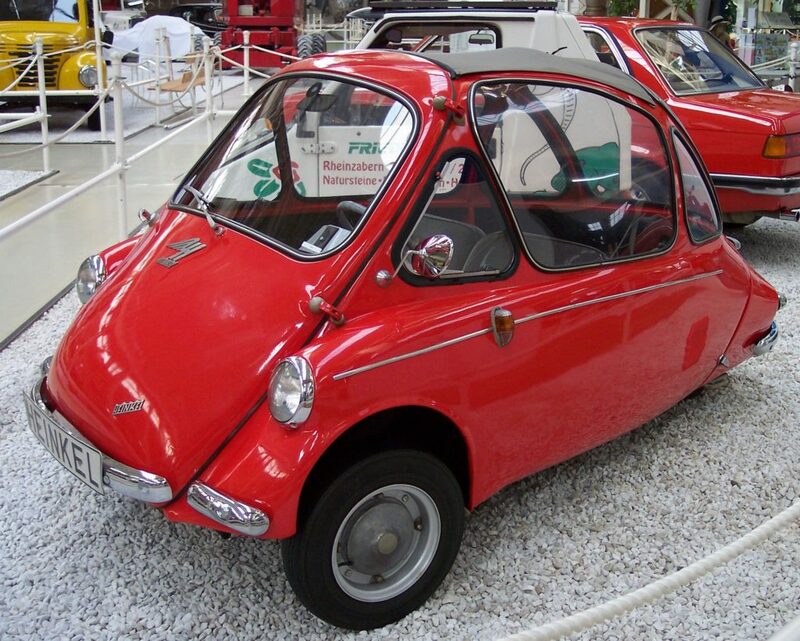 The Bubble Car museum at Clover Farm is a delightfully unique tourist experience in Boston, which pays homage to the significance of these micro-cars in Britain’s motoring history. The museum has over 50 cars on display, and on selected dates visitors can ride in a Bubblecar. You can also camp on the farm, rent the indoor area for evening events and the museum has a one acre rally field next door. Admission is only £3 for adults and £1 for children. There are also lots of beautiful areas for walks and wildlife. One such example is the RSPB Frampton Marsh Nature Reserve, a stunning coastal wetlands reserve just 4 miles away. 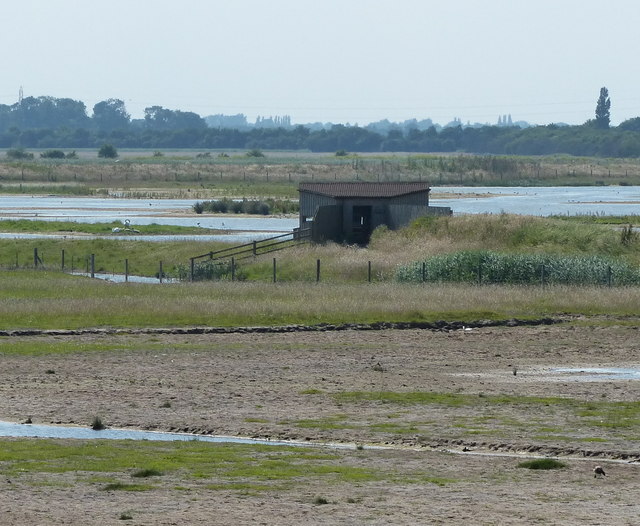 There are 3 bird hides, 2 of which offer a 360 degrees view, and there are also a number of short and longer walks available as well as picnic spots. Other great facilities are the accessible toilets, bike wracks for cycling visitors and binocular hire. 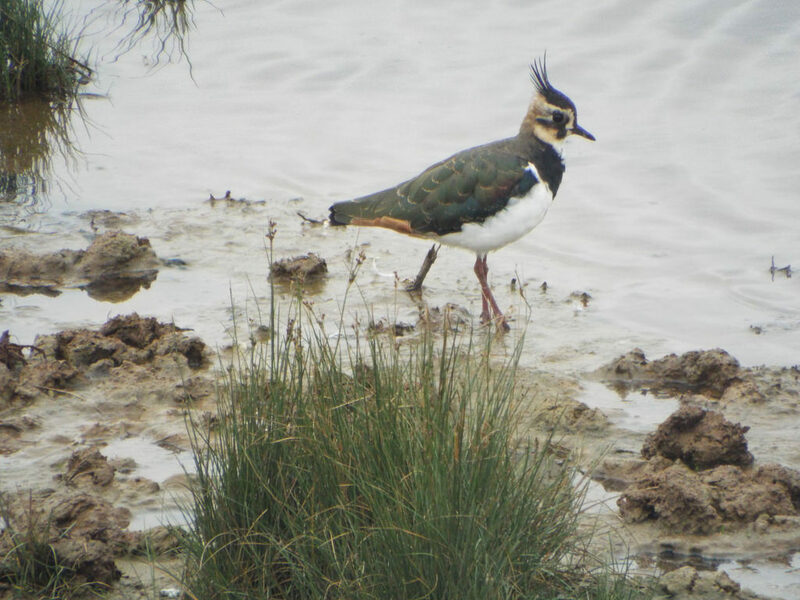 Examples of birds that visitors can see are Avocets, Brent Geese, Hen Harriers, Lapwings and Redshanks. Frampton Marsh hosts a number of events all year round to compliment what wildlife can be seen depending on the season. One very rare visitor was Naomi Campbell in May this year! Closer to the town is The Boston Woods Trust, (the site as a whole is now known as the Sir Joseph Banks Country Park) which was founded in 2001 to provide residents with amenities for cycling, walking and other recreational purposes. Whilst work on the woods is still very much ongoing, the plan is that eventually there will be 7 miles of accessible walks through mixed native deciduous woodland, wildflower meadows and ponds in a roughly crescent shaped corridor to the west of town. At the moment, visitors and locals can go on the Fitness Trail which was set up by the NHS, take part in an Orienteering course and visit areas of the planned site such as Jenny’s Wood, Westgate Wood and the wild flower area. If you get hungry or thirsty whilst out exploring there are a number of lovely pubs and restaurants to visit. Particularly highly recommended is the award-winning Wheatsheaf Inn, a family run business which serves food sourced from the best local produce, including some great vegetarian options. They do an early bird menu from 5pm-7pm, Monday-Friday and have an official ‘Burger Night’ every Sunday. Another thumbs up is family-run American style diner and bar, Witham and Blues which is a 12 minute drive from the centre, and is situated along the river Witham created from the former ferry-boat inn. So now you know what’s going on in Boston, why not take a trip?